This article originally appeared on The Conversation. Read the original article. Modern human beings have a shorter attention span than goldfish: ours is, on average, below eight seconds while the little fish can focus for nine seconds. These decreasing attention levels are driven by people’s constant use of technology. One study found that people’s dependence on digital stimulation has become so high that 67% of men and 25% of women would prefer to experience an electric shock rather than doing nothing for 15 minutes. Children are no different. They occupy a hyper stimulating world and find it difficult to sit through a 40 minute lesson or focus on a single task. Many schools and universities are now turning to the very technology that can be such a distraction. One of the avenues they are exploring is gamification – integrating games and their principles into learning. Our research has shown that gamification has the potential to boost student learning and motivation. Gaming has become a huge industry and is now even more valuable than the movie industry. A recent study found that teens spend an average of nine hours each day on their devices, with nearly four of these hours spent playing games. But schools are starting to realise that merely putting devices in pupils’ hands won’t magically restore their attention during lessons. Children need new teaching methods to accompany these new devices. To this end, some schools are turning to gamification. 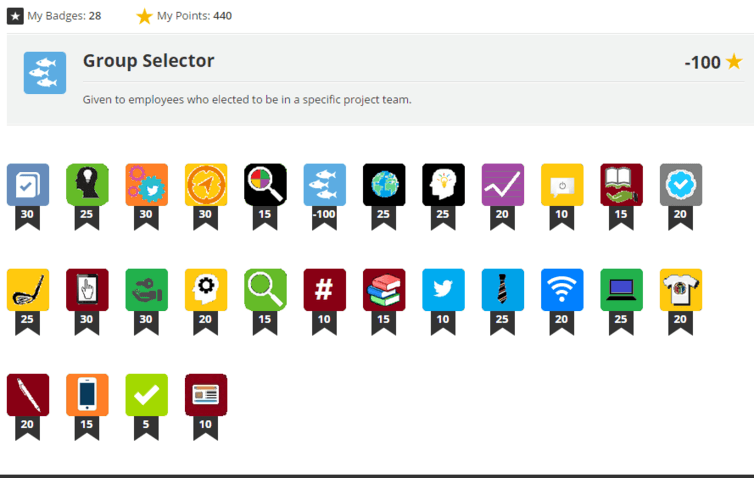 Gamification normally involves game-like elements such as leaderboards, levels and badges. These are underpinned by storylines and delivered using creative and appealing aesthetics. Leaderboards rank participants, while levels typically give the player additional benefits. Badges are symbols of achievement. In a sense this is how education has always worked. Individual examinations are challenges, passed across a number of years – or levels. Pupils then earn a certificate, or badge. But a qualification is not a gamified experience because it doesn’t adequately fulfil the key principles of a well designed game: clearly defined goals, a transparent scoring mechanism, frequent feedback, a personal choice of approach and consistent coaching. Gamification is slowly proving its classroom mettle. Some research suggests that, if it’s properly applied, gamification can improve attendance, enhance understanding of content, encourage engagement and ultimately improve academic performance. We decided to integrate gamification into an existing fourth year course at a South African university. Traditionally, the course is delivered to students through social media platforms. This time around we built in an additional game layer. This created a scenario that saw students pursuing a corporate career and competing for executive positions at a large company. Throughout the course, corporate aesthetics and a corporate style of communication and feedback were adopted. Gamified course page with corporate aesthetics. Students were recognised for meeting learning objectives, displaying academic progress, collaborating around activities and socialising with peers. They were awarded badges and points, which opened up opportunities for real-world benefits: marks, privileges like choosing their own project teams, and even letters of recommendation. They constantly competed to appear in the top 10 leaderboard. Badges each carrying a point weighting. Our research found that students were highly motivated by gamification. They worked hard to try and master the content, as well as engaging with their peers about it. Since the game was based on rewarding learning outcomes and sharing their knowledge, students found gamification relevant and beneficial to their learning. There were challenges alongside the benefits. For starters, students had to invest more time in the course than they might ordinarily. To stay ahead of the game, they had to keep up with their peers. Those who simply couldn’t keep up fell out of the game, which made it harder to re-engage them. Some students also gave up because they weren’t receiving rewards frequently enough for their liking. Teachers, too, must invest a lot of time in running the game – never mind the demands of the traditional course. Gamifying a classroom requires a significant investment in time and sometimes money. We also found that there was a need to ensure a balance between competition – something gamified courses encourage – and helping develop socially cohesive students. This requires care from the teachers, who must ensure that collaborative tasks and social skills like empathy and mutual respect are rewarded within the game. Despite the challenges, our research suggests that gamification techniques can provide interesting avenues to motivate student learning. There are several free tools available to help teachers implement gamification in the classroom. Kahoot!, for instance allows teachers to run gamified quizzes where students participate with their own devices and are placed on a leaderboard that the whole classroom can see. Open badge platforms like Credly allow teachers to issue their students with badges, while platforms like Classcraft allow teachers to use role play scenarios in their lessons. The students rush to class even though it is Maths. They often tell me it is the highlight of their day. Craig Blewett is a Senior Lecturer in Education & Technology at the University of KwaZulu-Natal. Ebrahim Adam is a Lecturer in Information Systems & Technology at the University of KwaZulu-Natal. I am sure that gamification will work in classroom teaching, for any method that will have students enjoy themselves while acquiring new knowledge and skills will work like magic.